The most popular way to experience the bay is on a cruise, and unsurprisingly. 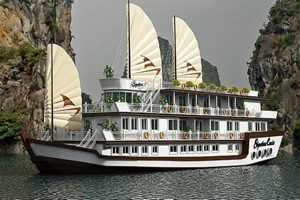 Golden Star Cruise is one of cruises in Halong Bay for travelers over night on cruise with 2 days or 3 days trip. The World Heritage seascape of Halong Bay, dotted with jagged limestone pinnacles, is one of Vietnam’s biggest attractions. The most popular way to experience the bay is on a cruise, and unsurprisingly. 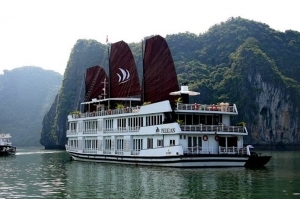 Golden Star Cruise is one of cruises in Halong Bay for travelers over night on cruise with 2days or 3days trip. Embark Tuan Chau harbor, board Golden Star Cruise by a tender. Enjoy a welcome drink, receive cruise briefing. 11:00: Savor lunch on board and leave Golden Star Cruise. From 5 up to 6 years old: charge 75% adult price. From 7 years old up: Charge adult price. Entrance fees, activities on board. 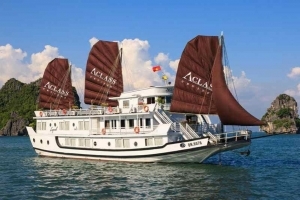 08:00 Meet your tour guide then go for HaLong Bay. Have a break 20 minutes en-route to free your legs. 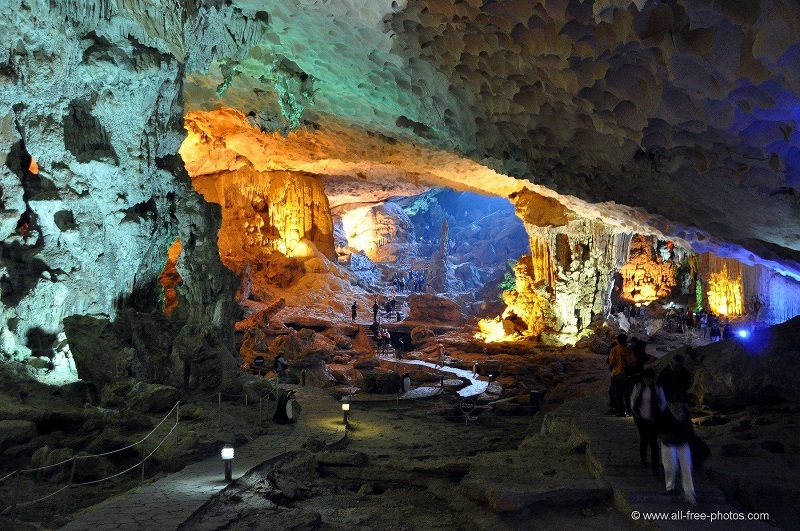 Savor lunch on board and visit Sung Sot “amazing” cave with millions of surprising stalactites and stalagmites. Join in a “cooking session” on board with our chef making some special dishes with suggested recipe. 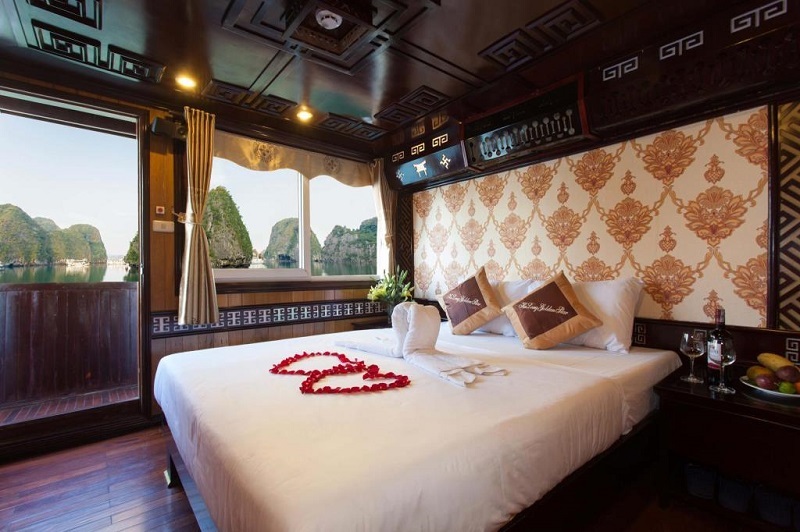 Overnight on GOLDEN STAR CRUISE in the middle of HaLong Bay. Visit a Pearl farm, see the real pearl products and understand process of pearl making in HaLong. Change onto a Day-boat going Lan Ha Bay. Visit Monkey Island with endangered wild monkeys. Stop at Viet Hai harbor. Enjoy 5km cycling ride through wonderful jungle to Viet Hai village. Short trek inside Cat Ba National Park. Do cycling 5 km back to the harbor again. 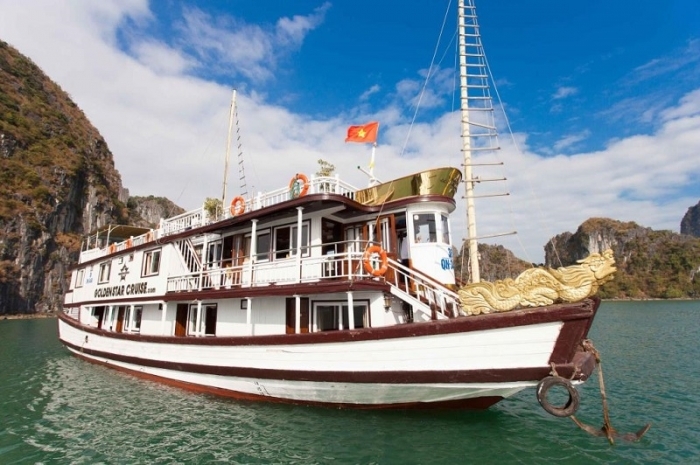 Enjoy lunch on board in Lan Ha bay. 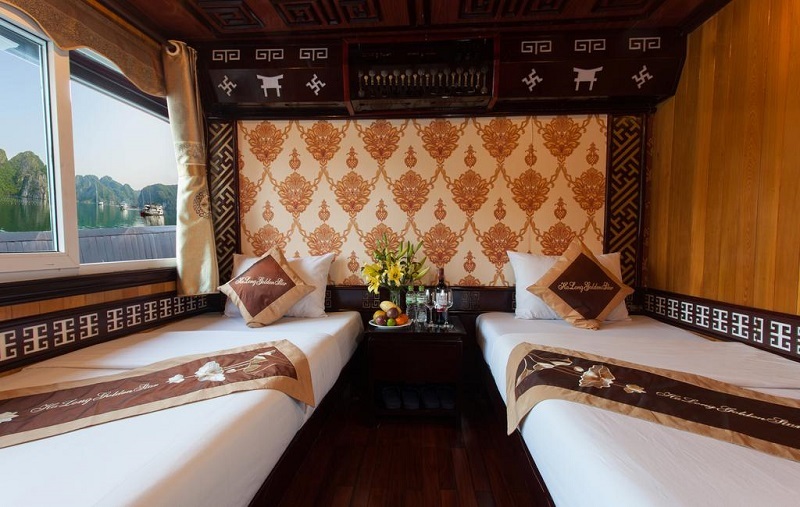 Opt 1: Stay overnight in Bungalow or in 3 star hotel (Hung Long Harbor Hotel/Sea Pearl hotel). 08:00 Check out hotel. Bus takes you to harbor and get on the transfer boat to HaLong Bay again. Change onto Golden Star Cruise. Relax and photograph wonderful pictures of HaLong on the way back. Leave Golden Star Cruise, have a short rest and take a bus drive to a local restaurant for lunch. Start bus dive back to Hanoi. Have a rest half-way to free your legs. Pick up and drop off at your hotel by air-conditioned bus. 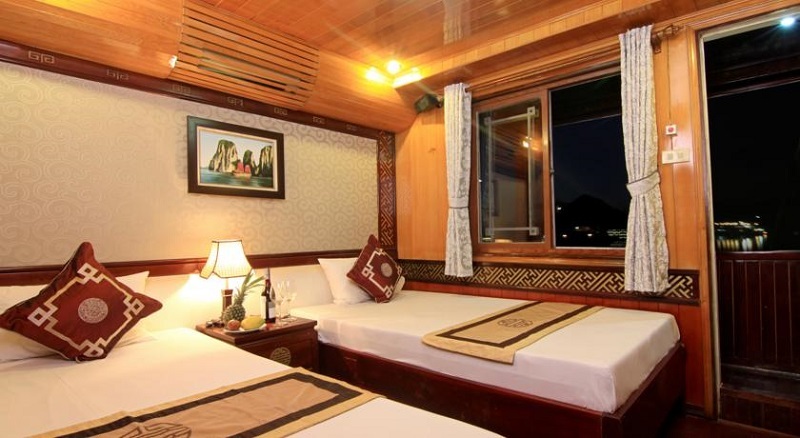 Single supplement on board: extra 700,000 VND (if you request your own cabin). Single supplement at hotel: extra 600,000 VND. Under 5 years old: Free of charge, sharing cabin with parents. From 5 - 6 years old: Charged 50% (sharing cabin with parents), charged 75% (2 children share one cabin). From 7 years old up: Charged adult price. 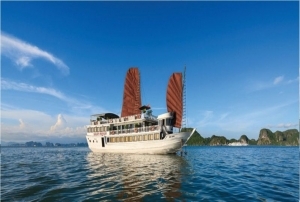 Golden Star Cruise 2days 1night at 120$ / Per person.